Dave has some great experience that makes us look forward to our expansion in boat surveys and yacht deliveries. Sailed East coastal Atlantic Worrell 1000. Sailed Heineken Regatta 1st around island of St. Martin, 3 Rd in Regatta. ​NACRA 6.0 class Performance Catamarans New England Catamarans . Race using carbon and aluminum masts and bow sprit. Numerous Mug Race runs for world longest river Race. 15 years operating boats southeastern atlantic as Asst. Caretaker for Estate on A Georgia barrier Island. Previous Race committee local fleet Performance Nationals in conn. and Fla Nacra class regattas. Frank Barron has been working as an independent Marine Surveyor since 1999. He has formal training for his trade as well as over 35 years of continuous marine experience including the ownership and surveying of antique wood vessels. 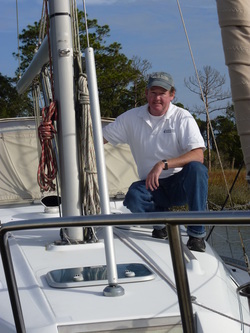 Frank also has many years of experience delivering boats in the US Intracoastal Waterways and the Bahamas. Frank has a USCG 100 Ton Masters License. Retired Airline Pilot - A.T.P. Member Society of Accredited Marine Surveyors (S.A.M.S.) - Accredited Marine Surveyor (A.M.S,) # 1121. Member American Boating & Yacht Council (A.B.Y.C.) - Standards Certified. 15 Years experience - Independent Surveyor & S.A.M.S. 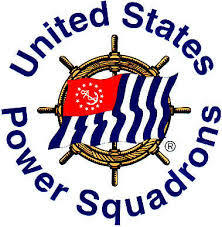 - S.A.
Alternate Captain for TowBoat U.S.
U.S. Power Squadron/U.S. Coast Guard Auxiliary "V.E. ", Vessel Examiner. U.S.C.G. 100 Gross Ton Master - Near Coastal, Sail & Tow endorsement. Extensive cruising along U.S. Southeast coast (since age 16 - present 35+ years). Yacht deliveries in the U.S., Bahamas, Caribbean & Panama Canal transit. Extensive sailing in U.S. & British Virgin Islands, Bermuda, Windward Islands, South Pacific Tahitian Islands and transit thru the Panama Canal. American Boating & Yachting Council "Standards" Certified.